Born under the astrological sign of Leo, I’m a sun worshipper by nature and adore the season of summer. Long day, warms nights, beer, baseball, barbecue — seriously, what’s not to like? When my yoga studio offered a special class to welcome the season, I was all in. 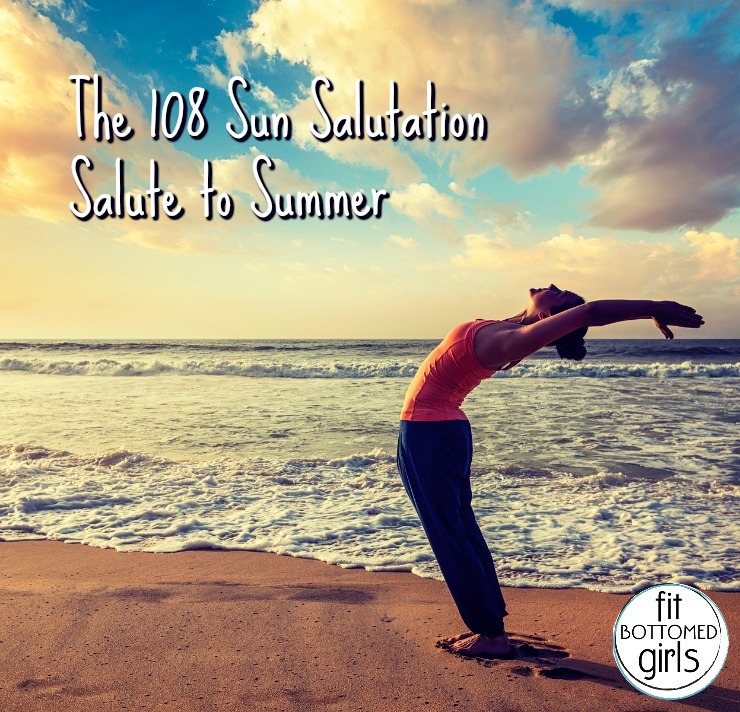 The class format was simple, consisting of a single sequence of poses: surya namaskar or the sun salutation performed multiple times, 108 times to be exact. The reverberation of a single gong signaled the start of the 90-minute practice and we were off. I closed my eyes and easily dropped into the repetitive movements, thoroughly enjoying the meditative quality of the ritual. In no time, the instructor signaled we had completed the first twenty-five. As the class progressed, I continued to bend, plank, dog and jump, confident that the next cue was just around the corner. I almost made it, but collapsed into child’s pose somewhere in the mid 40s. After a short rest, I returned to mountain pose, took a deep breath and continued on my journey. The next 25 were grueling. I lost my concentration and was forced to take two more breaks. There was nothing in the room to use as a distraction — no music or clock to mark the passage of time. I dug deep and kept moving. At 75 I got a burst of renewed energy. I would finish this thing even if I went mad in the process. When the instructor announced the 100 I could have jumped with joy. I don’t even remember the last eight. That night I didn’t feel renewed and in sync with nature. I felt whooped. My limbs felt like lead weights, and I had had little sores on the tops of my feet from all of the upward-facing dogs. The 108, come to find out, has spiritual significance and is found repeatedly in religion, astronomy and nature. There are 108 names for the Buddha, there are 108 Hindu deities; there are 108 beads on a meditation mala and the diameter of the sun is 108 times the diameter of the earth, just to name a few. Next year I will celebrate the solstice the old-fashioned way. I’ll crack a beer and watch the Boys of Summer do their thing. By the way, there are 108 stitches on a baseball, so there.